Ebenezer Scrooge, the penny-pinching businessman in Charles Dickens' A Christmas Carol, has become a symbol of the heartlessness of capitalism. But some observers say this fictional character has been used to vilify business and is deeply misunderstood. It's probably a safe bet that Ebenezer Scrooge, before his spiritual transformation, would have balked at recent proposals in the U.S. to tax the wealthy, even to avoid a so-called fiscal cliff. The ultimate Christmas curmudgeon, who most famously asked if the workhouses were still in operation, already thought he paid more than his fair share of taxes. Nearly all are familiar with the Charles Dickens' character, a miserable and miserly boss, who, many believe, exploited his poor hapless worker Bob Cratchit, ignored the plight of the poor and the spirit of Christmas until, of course, he is set on a righteous path following a visit from three wise ghosts. 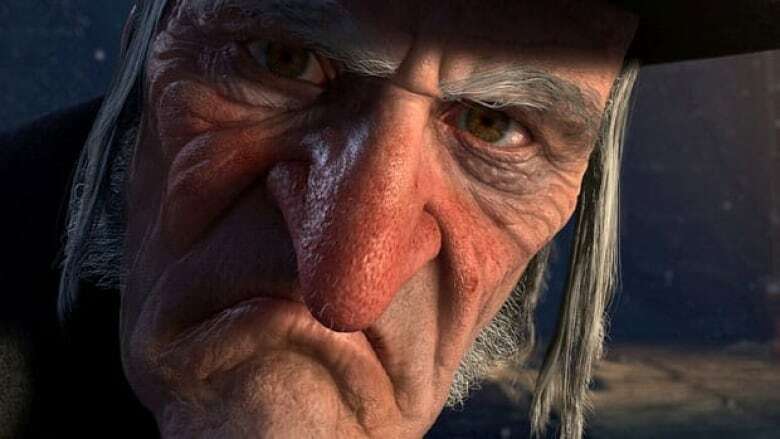 While that may be most people's view of Scrooge, some have rushed to his defence, saying the general interpretation of the old miser has been a lot of humbug. "I think Scrooge is clearly misunderstood and used to vilify business," said Yaron Brook , president and executive director of the Ayn Rand Institute, an organization named after the author whose books promoted individual rights and made the moral case for rational self-interest. David N. Mayer, professor of law and history at Capital University Law School in Ohio, made a similar argument in his own essay, saying that the "unredeemed Scrooge is really a hero. He's the most real character in the story — the one character in the book who acts responsible and who treats his fellow men justly." In a column for the National Review last year entitled "Scrooge: The First 1 Percenter," Jim Lacey, author and analyst at the Institute for Defense Analyses, made the case that Scrooge, before his ghostly visitors, "was already doing more to help his fellow man than any of the other main characters we meet," and that at the end of the tale, by giving away some of his fortune, he "drastically reduced his ability to do even more good in the world." The argument in Scrooge's defence is that while Scrooge may not be the most pleasant fellow, he did a lot of good, despite his nephew Fred's remarks that his uncle had no use for wealth since he "doesn't do any good with it." While the book is scant on detail about Scrooge's actual career, Lacey deduces that he was some kind of lender. This means Scrooge lent money to individuals and businesses, made investments through the London Exchange, helped create jobs, all of which grew the economy, helped finance the Industrial Revolution and needed infrastructure and lifted up the condition of the poor and middle class. But much of that is ignored, in part because of his lack of altruism for society as a whole, critics argue. But Mayer, in an interview with CBC News, said that through Scrooge's dealing of his trade "everybody prospers." Arguably, the scene intended to cast Scrooge at his worst is when he ignores the pleas for charity, instead asking if the "union workhouses" are in operation. Mayer, who also teaches English legal history, defended the Poor Law of 1834, which brought in those workhouses and required able-bodied welfare recipients to work. Scrooge is "justly indignant at the thought that in addition to having part of his earnings taken away through taxes to support government welfare programs, he's being asked to give away even more of his earnings to "make idle people merry" when he himself doesn't feel merry," Mayer wrote. But surely Scrooge could be a little more generous to Cratchit, whose financial hardships have taken a toll on his family, most specifically on the health and welfare of his son, poor Tiny Tim? Well, no, says Brook, who defended Scrooge's treatment of his beleaguered clerk. Brook said Cratchit was getting paid the market wage and that his boss had no moral obligation to help him out. "I assume if somebody else was willing to pay him more, that he would move jobs and no one would feel sorry for Scrooge if [Cratchit] just walked up and left because he got more money somewhere else," Brook said. "If he's making very little, it's probably because he adds very little productive value to the economy, to business," Brook said. "That's the reality of the market place and there's nothing unjust about that." (Lacey said Cratchit was paid 15 shillings a week, about average for a clerk and double what a general labourer earned). In fact, Scrooge's decision at the end of the story to boost Cratchit's salary would be a "disastrous course of action in real life," Brook said, adding that Scrooge's clients would suffer because he has less money to reinvest into lending them money. Lacey bemoaned Scrooge's turn to altruism, saying it was unfortunate for the "many thousands whose jobs Scrooge's investments had underwritten" as his "transfer of funds to less productive causes undoubtedly cost them dearly." As for Brook, his criticism of A Christmas Carol isn't some arbitrary shot at British literature as he also has choice words for the American Christmas classic It's a Wonderful Life. "That is another version of the same story," he said. Brook said like Scrooge, the successful banker in It's a Wonderful Life is portrayed as ugly, old, unhappy, crotchety, and evil. "And why is he evil? He's evil because he forecloses on people who don't pay him back. What's the contract for? And of course the good guy is the guy who goes bankrupt. He gets bailed out at the end just because people are nice. But he's a bad banker, he's an awful businessman, he doesn't protect his bank or his wealth." Brook admitted that criticizing that movie does come with some peril. "Whenever I bring that movie up, people think I'm killing a sacred cow," he said.